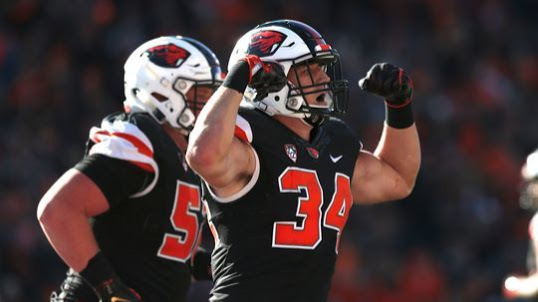 Can Jonathan Smith revive Oregon State football? CORVALLIS – Jonathan Smith said all the right things Thursday at his introductory press conference as Oregon State’s new football coach. The football program Smith inherits is a long way from the 2000 Fiesta Bowl team he led as the starting quarterback during an 11-1 season that included a No. 4 final ranking in the Associated Press poll. OSU completed one of the worst seasons in school history last Saturday with a 69-10 loss at Oregon in the Civil War. The Beavers finished 1-11 and failed to win a Pac-12 game. Smith didn’t offer any catchy slogans. “As a coach I’m gonna be authentic because that’s what I appreciated as a player,” said Smith, 38, who spent the last four years as offensive coordinator/quarterback coach at Washington. Terms of Smith’s five-year contract are still to be finalized. It’s safe to assume that he will not follow in the footsteps of former OSU coach Gary Andersen, who walked away Oct. 9 midway through his third season. Smith may have grown up in Southern California, but he has strong ties to Corvallis and the Northwest. Smith arrived in Corvallis as a walk-on in 1997 under former coach Mike Riley, who gave him an opportunity. That opportunity translated into a co-Pac-12 championship under Dennis Erickson in 2000, which is one of the most revered teams in school history. A four-year starter at OSU, Smith knows that it’s possible to win in Corvallis. After all, the Beavers were at the tail end of 28 consecutive non-winning seasons when he arrived. Smith faces a daunting challenge. The Beavers are 7-29 the past three seasons with a 3-24 mark in conference play. “I know what it looks like to transition, change a culture and win a championship as a coach and obviously as a player,” said Smith, who was on Chris Petersen’s staff at Washington that won the Pac-12 championship last season and advanced to the College Football Playoff. Corny? Sure, but you have to admire heartfelt sincerity. 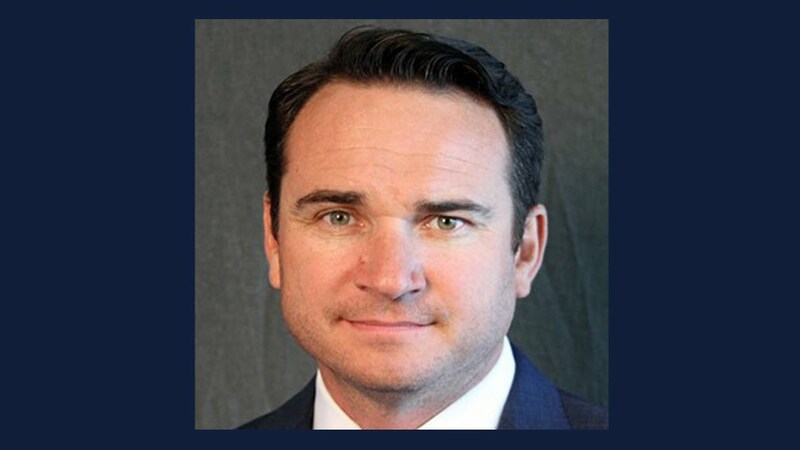 OSU athletic director Scott Barnes said he was impressed with Smith during their first meeting in what ultimately was a six-week coaching search that began and ended with Smith. “It didn’t hurt that Jonathan vividly provided a scenario about walking into a recruit’s home with a polished Pac-12 championship ring on and a recipe to get there again,” Barnes said. Actually, it was a Pac-10 championship ring from the 2000 Fiesta Bowl season that Smith had on his finger at the press conference. He was the Offensive Player of the Game in the Beavers’ 41-9 rout of Notre Dame and has fond memories of that team. It was a team known for its swagger. “We definitely had some swagger, but I think we had some 20-odd penalties (in the Fiesta Bowl), so we’re not trying to bring that kind of swagger back,” Smith said with a chuckle. That comment drew laughter from a packed room in the Valley Football Center Auditorium. OSU president Ed Ray called Smith “the perfect person at the perfect time” to lead what will be a major rebuilding effort. Andersen couldn’t get the job done after a successful rebuild job at Utah State, and he produced 19 wins in two seasons at Wisconsin before he took over at OSU. So what makes Smith, who is a head coach for the first time, so different? Maybe his belief in what’s possible at OSU will resonate with players who don’t know what it feels like to win at this level. Ultimately, it will come down to recruiting. “I know how to sell this place in regards to recruiting,” Smith said. He has yet to speak with OSU interim coach Cory Hall, who led the Beavers the last six games after Andersen’s departure, but plans to meet with Hall in the next few days. Smith met with players Thursday morning before the press conference. 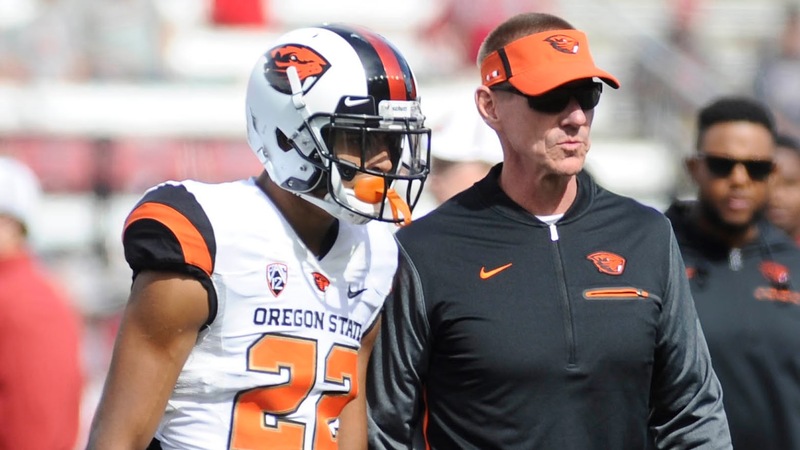 Smith said he’s heard from many former teammates since Wednesday’s announcement, including Ken Simonton, T.J. Houshmandzadeh and Marty Maurer from the Fiesta Bowl team, and left open the possibility that former Beavers could end up on his coaching staff. That’s the kind of attitude that could help Smith return OSU to Pac-12 relevance, and perhaps a return to the national stage down the road.